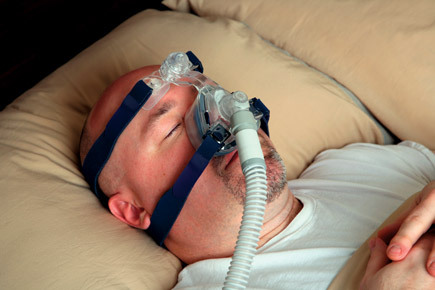 Given the prevalence of poor sleep habits, determining sleep apnea can be difficult during a time-pressed visit. Asking the rights questions is key. The price of some generic drug classes has skyrocketed in the past year, making this once simple option more difficult to offer to patients. Physicians are working with patients on behavioral changes that might stave off the worst consequences of high blood pressure that occur later in life. Patient autonomy is the key to an app that puts patients in control of meeting their goals to reduce high blood pressure. More doctors in a practice can lead to higher hospital readmission rates, a study found. Small practices can take big steps in keeping their patients healthy after discharge. With hand hygiene compliance rates so low in health care facilities, some are advocating for physicians to avoid shaking hands and considering other ways of greeting patients. Not everyone agrees. Success in end-of-life care begins with how effectively physicians communicate with patients and their loved ones. Does ACA coverage really make a difference? Patients with health insurance have better outcomes and enjoy better quality of life. The Affordable Care Act is offering more people access, even though cost-sharing may still put better care out of reach. How much a resident knows is no longer the most accurate way to assess the person in an era of students who grew up getting their information in a digital world. Readers respond to ACP Internist coverage of issues surround the time spent with patients, ICD-10 coding changes, and physician burnout. When is it sleep apnea? This issue covers topics including sleep apnea, prescribing generics, and hypertension. Billing for chronic care management requires new capabilities for electronic health records and access to the information that they contain. Knowing that many small practices need help, ACP has put together a host of resources to help small practices understand and implement ICD-10. ACP's third decade began with the founding of a certifying body for internal medicine, with written and clinical exams starting in 1936. The protests began soon thereafter. It wasn't the only war fought within the next 10 years. With ACP's centennial this year, several session at the organization's annual meeting will celebrate the past 100 years of membership. A 28-year-old previously healthy woman is evaluated in the hospital for a 3-week history of progressive fatigue, dyspnea with exertion, and easy bruisability. Following a physical exam, lab studies, and peripheral blood smear, what is the most appropriate treatment?. The election of Officers and Regents has been completed.